Cheryl Wolters holds the Certificate of Clinical Competence in Audiology (CCC-A) through the American Speech Language Hearing Association and is a Fellow of the American Academy of Audiology and Texas Academy of Audiology. She received her Master of Science in Communication Disorders-Audiology degree from the University of Texas at Dallas-Callier Center and her undergraduate degree from Baylor University. Her audiologic experience includes diagnostic research and assessments, newborn hearing, pediatric audiology, educational audiology, and clinical hearing assessments. Cheryl’s clinical focus includes providing the most current and highest level of hearing care for every patient from pediatrics to seniors as well as finding the best hearing solution for each patient’s lifestyle. Cheryl joined Anderson Audiology and North Hills ENT in 2014. She is affiliated with the American Speech Language Hearing Association, American Academy of Audiology, and Texas Academy of Audiology. Dr. McDonald is passionate about audiology and her focus on providing the highest quality of patient care. 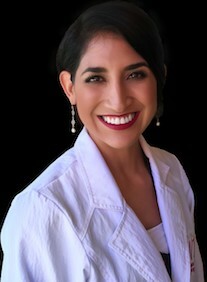 She has 12 years of experience in fitting and dispensing hearing aids. She has worked as a clinical audiologist in private practice and with the Veteran’s Administration, as a hearing aid researcher at The Medical University of South Carolina, and most recently was faculty at Texas Women’s University. She received her Masters and Doctorate of Audiology (Au.D.) degrees at Vanderbilt University and her Bachelors in Communication Sciences at Louisiana Tech University. She is a Fellow of the American Academy of Audiology (F-AAA), and holds a Certificate of Clinical Competence in Audiology (CCC-A) through the American Speech-Language-Hearing Association. Outside of work she enjoys volunteering at her children’s school, practicing yoga, reading and spending time with family. 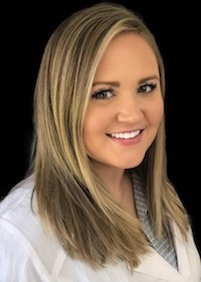 Dr. Rachel McGee completed her Bachelor of Arts in Psychology at the University of Tennessee in Knoxville and earned her Doctorate in Audiology from Louisiana Tech University in 2018. She completed her fourth year doctoral residency at Anderson Audiology and North Hills ENT and joined the practice as a Clinical Audiologist following graduation. Rachel’s clinical focus includes adult and pediatric diagnostics, amplification, vestibular and electophysiological evaluations, and central auditory processing evaluations. Dr. Zahn completed her Bachelors of Arts in General Studies with minors in Spanish, Biology, and Chemistry at Texas Tech University. She received her Doctorate of Audiology (Au.D.) degree at Texas Tech University Health Sciences Center (TTUHSC) and holds a Certificate of Clinical Competence in Audiology (CCC-A) through the American Speech-Language-Hearing Association. She is bilingual with over eight years of diverse experience working with an on-site neuro-otologist as a Cochlear Implant specialist doing intra-operative monitoring for Cochlear implantation and assessing BAHA (Bone-anchored-hearing-aids) candidates. She also has extensive experience with vestibular assessments including Sinusoidal Harmonic Acceleration and electrophysiological evaluations for the adult and pediatric populations. As a clinical audiologist, she also worked at John Peter Smith (JPS) Hospital evaluating adult hearing and balance disorders. She specializes in the evaluation, diagnosis, and treatment of hearing loss and vestibular disorders. Her primary focus is evaluating patients with the highest quality of care in both the pediatric and adult populations. Dr. Zahn is married and has two children. She loves to spend time with her family, volunteering at church, reading, and working out at the gym. As an Otolaryngology Technician, Michelle enjoys working with our expert audiology team to ensure top notch care for our patients. She works closely with our Audiologists to administer hearing tests and is highly trained to ensure the accuracy of test results. Michelle received her training from the American Academy of Otolaryngology – Head and Neck Surgery at the Michigan Ear Institute in Novi, Michigan. She continues to study and learn from our onsite doctors of audiology and keeps up to date on the latest hearing devices in order to effectively help patients adjust to their new hearing aids. Michelle is our primary point of contact and can answer any questions patients may have about their hearing or hearing aids. She also assists with scheduling and seeking proper information from insurance companies, so patients know what benefits they have before seeing one of our audiologists. Michelle joined North Hills ENT in 2014 and became a part of Anderson Audiology in 2015. Outside of work, Michelle enjoys spending time with her family, listening to music, and going to sporting events.